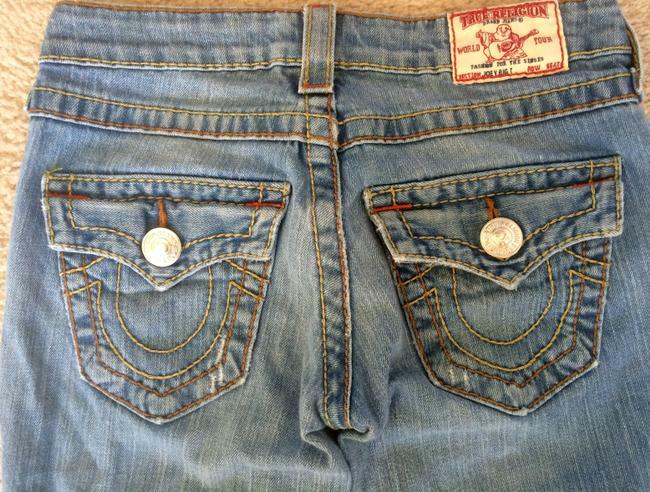 Very lightly worn True Religion, flare leg jeans. 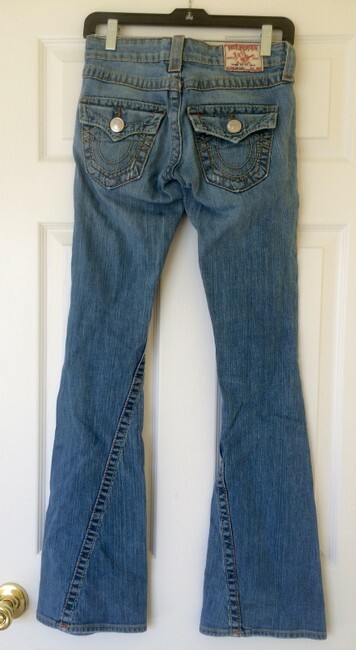 Love the jeans and the fit but the regular length was much too long for me (5'5") and I had to fold them up when I wore them to avoid stepping on them. 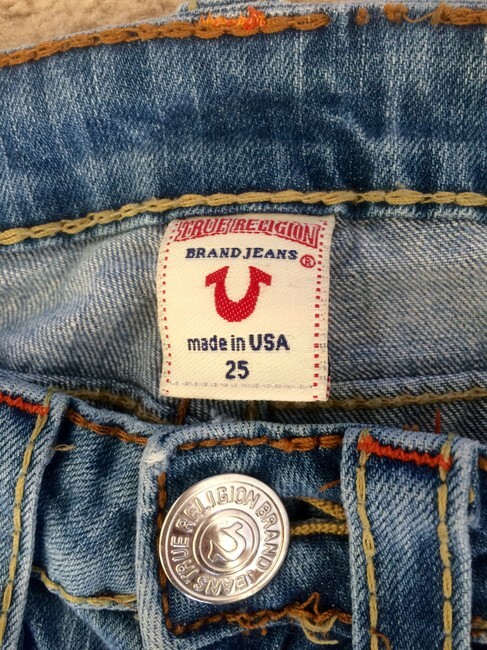 Great quality jeans.